A joint venture between Iron Point Partners LLC and Barker Pacific Group has acquired City Square, a three building, 736.8k sf Class A office complex in Phoenix. The price was not disclosed. 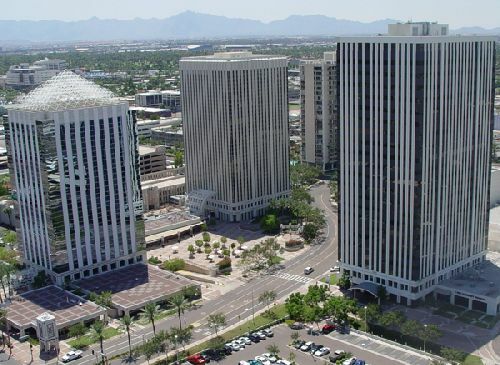 Offering panoramic views of the Phoenix Skyline and Camelback Mountain, the project is among the major Class A office properties along the city’s Central Avenue Corridor. City Square is comprised of three office towers, two street level retail buildings, and a shared plaza. The new owners plan to rebrand and enhance the overall appeal of the property. Brett Abramson, Chris Beall, and John Bonnell of JLL are handling leasing of the property on behalf of the new ownership. This purchase marks the second Phoenix buy for the partnership, following the acquisition of Mesa Tower in 2017.